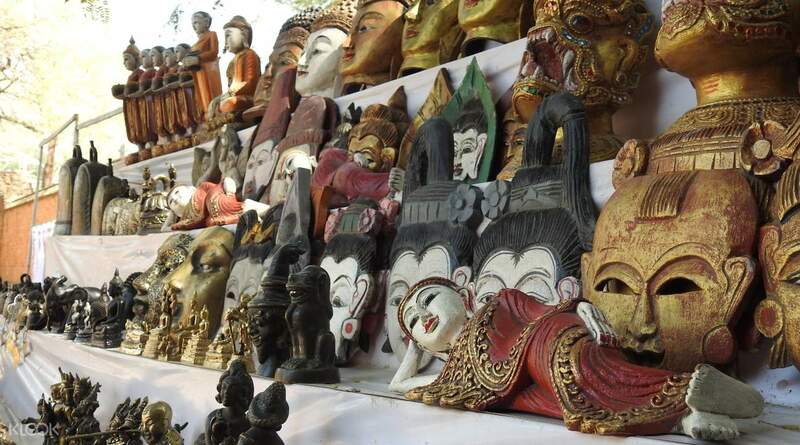 Get to see the highlights of Bagan, known as Myanmar's previous royal capital, on this half day tour! Convenient hotel pick up and drop off service included, no need to worry about arranging transportation! Aung, the driver was very informative and friendly. He even had me experience traditional Burmese food. would recommend him and this activity to other friends. 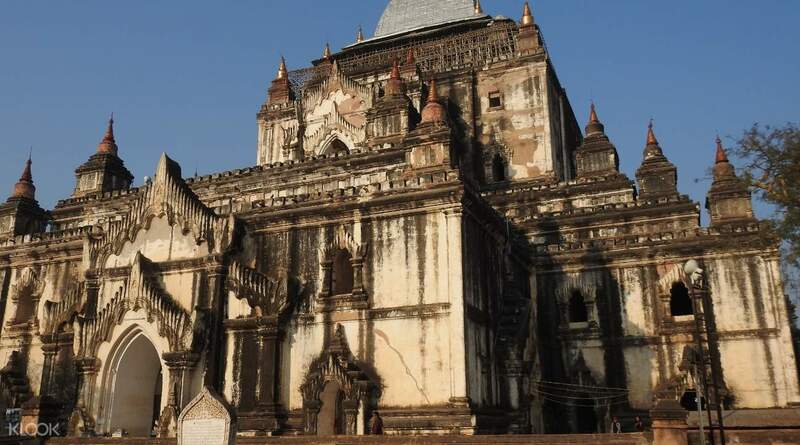 Immerse yourself in Bagan's rich cultural and religious practices with this half-day exploration of the ancient city's temples and pagodas. 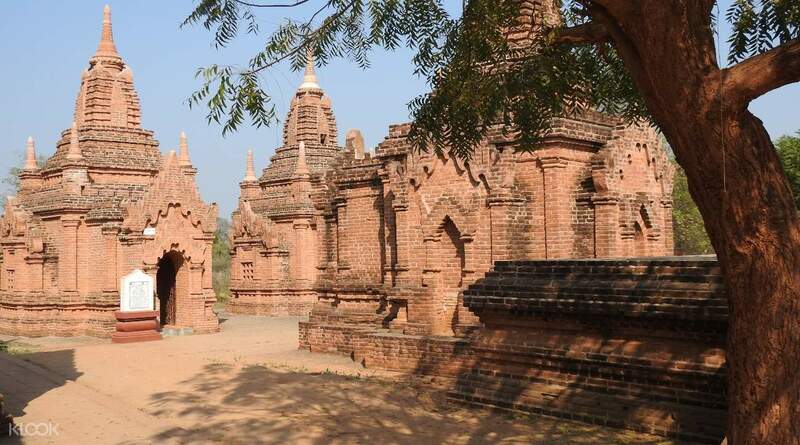 Formerly known as Myanmar's previous royal capital, Bagan is filled with fascinating stories and fun trivia that will satisfy the curiosity of any traveler! In the morning, get picked up at your hotel/accommodation in the city, then proceed to Shwezigon Pagoda, with a circular gold leaf-gilded stupa surrounded by smaller temples and shrines. You'll then make your way to the remaining four temples in Bagan: Ananda Temple, considered a masterpiece of the Mon architecture, Dhammayangyi Temple, the biggest temple in all of Bagan, Htilominlo Temple, with intricately-carved stuccos outside and beautiful murals inside, and Thatbyinnyu Temple, an asymmetrical, cross-shaped temple. 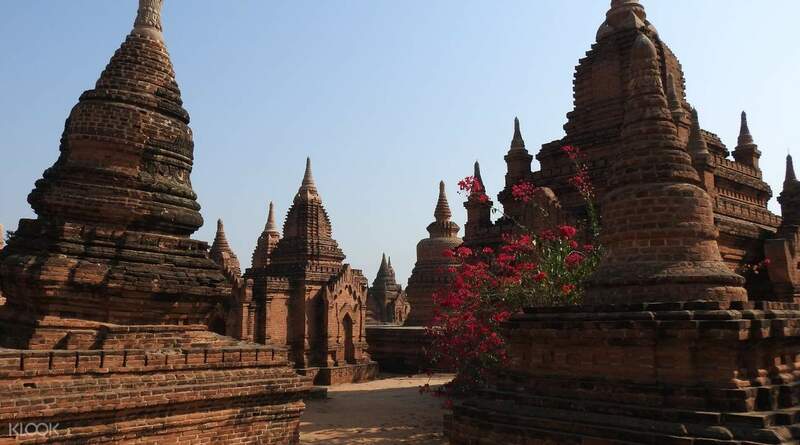 As you explore these four sites, you'll learn about the history behind each temple, stupa, and pagoda from your English-speaking guide. Your last stop for the day is Shwesandaw Pagoda, a stunning building with five different terraces and a circular stupa topped with a bejeweled umbrella. Explore the pagoda and check out the sacred hairs of Gautama Buddha, which were obtained from Thaton, before you pack up and get dropped off back at your accommodation. Aung, the driver was very informative and friendly. He even had me experience traditional Burmese food. would recommend him and this activity to other friends. Aung, the driver was very informative and friendly. He even had me experience traditional Burmese food. would recommend him and this activity to other friends. 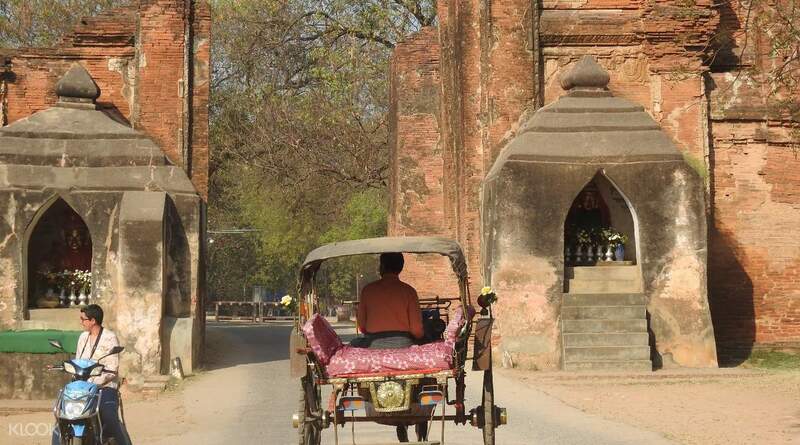 Although the carrying itinerary is different from the one I booked, the tour guide and the driver can quickly adjust the route according to my thoughts. The explanations are also very vivid and vivid, and there is a question and answer. Finally, we proposed to detour to buy lunch without any complaints. Praise! 虽然携带行程与我预订的有所不同，不过导游和司机能很快根据我的想法调整路线，一路讲解也非常仔细生动，有问必答，最后我们提出想绕道去买午饭也毫无怨言，好评!